Monday 22nd September 2014 – 7.22pm – Murray MacGregor. A motorcyclist has been airlifted after a collision with a car that left his bike badly damaged. The collision happened at the junction of Shortbutts Lane and the Fosseway in Lichfield at about 4.10pm on Monday afternoon. A rapid response vehicle was on scene within five minutes of the emergency call, backed up by an ambulance. 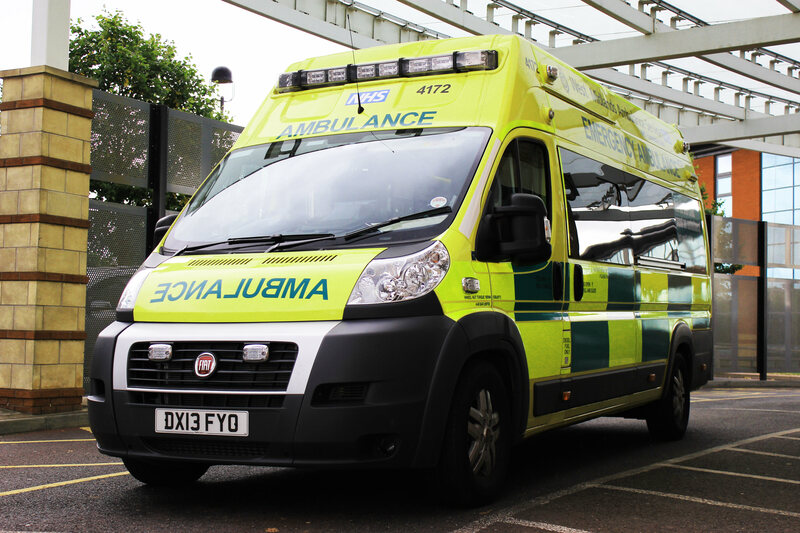 The paramedic on the response vehicle requested an air ambulance shortly after an initial assessment and the Midlands Air Ambulance from Staffordshire was dispatched. A West Midlands Ambulance Service spokesman said: “On arrival, ambulance staff found a bike and a car that had both suffered significant front end damage. The handlebars of the bike were particularly badly affected and there was fluid over the road. “The 20 year old rider was initially unconscious but had come round to some extent with ambulance staff but was not fully conscious. He had suffered fractures to his right leg, rib pain as well as injuries to his face. Fortunately, his leathers had provided some level of protection or his injuries could have been much worse. “The man was immobilised using a neck collar and spinal board before he was handed over to the aircrew for the short flight to the major trauma centre at University Hospital North Staffordshire for further assessment and treatment.